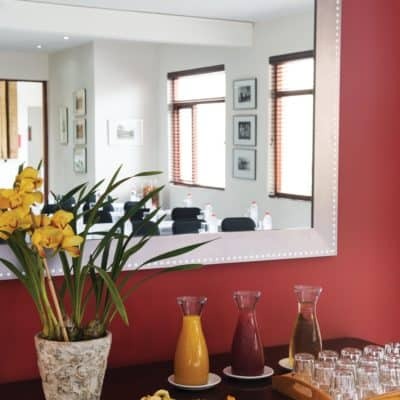 With its central location, yet serene atmosphere, Casterbridge Hollow Boutique Hotel in White River offers the ideal venue for a conference, product launch, or private board meeting. Situated just 20 kilometres from Nelspruit and a mere 40 kilometres from Hazyview and Sabie, Casterbridge Hollow is a quick drive from the central business districts, but sufficiently private to focus the mind. Accommodating up to 60 delegates cinema-style, this White River conferencing venue is equipped with all modern amenities. Standard facilities include a ceiling-mounted data projection system, DVD and audio system, DSTV connectivity, wireless internet connection, dual-lighting, in-floor data and power connections, air-conditioning and flat screen televisions. A cosy boardroom is also available for smaller conferences and meetings. Book you next meeting or conference with us. Friendly staff is on hand to ensure an effortless event where delegates can focus without interruption. The venue offers respite from the hustle and bustle of the corporate world, ensuring that delegates enjoy regenerating breaks between sessions, complemented by fine cuisine catered for by Magnolia Restaurant. 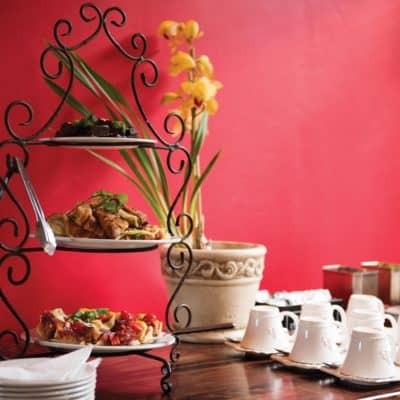 Coffee breaks are provided for at the conference venue while fully-inclusive conference package meals are enjoyed in the warm atmosphere of Magnolia Restaurant, adjacent to the Hotel. 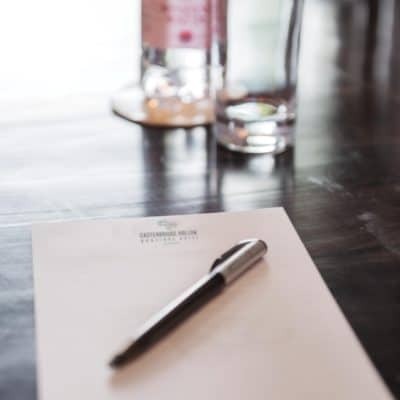 Whether simply planning a day conference or a 3-night customised corporate incentive programme, Casterbridge Hollow’s friendly and professional team will ensure an effortlessly productive event, while providing sufficient comfort to ensure delegates leave rejuvenated. For alternative meeting venues, the Casterbridge Lifestyle Centre offers the Barnyard Theatre or Casterbridge Cinema. Please don’t hesitate to contact our team for more information.